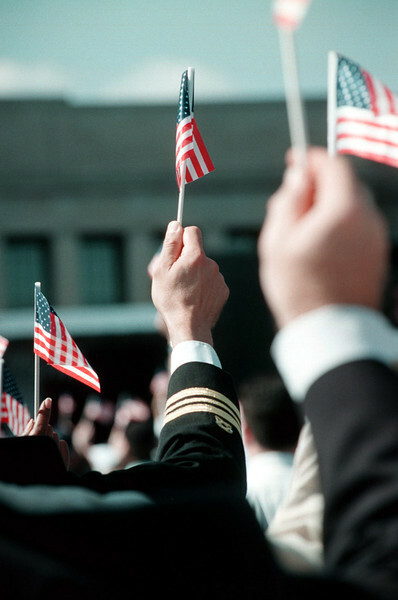 Washington, D.C. (Oct. 11, 2001) -- Guests at the Pentagon memorial service waved small American flags throughout a ceremony held in honor of those killed in the September 11, 2001 terrorist attack. U.S. Navy photo by Chief Photographer's Mate Dolores L. Parlato. (RELEASED).